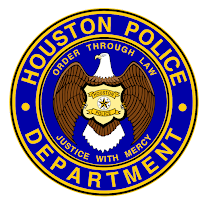 Houston Police Department: Day One on the Streets! Day one on the streets…it was finally time to take practice and make it reality. I don’t think that I will ever forget that day as long as I live. I felt a rush of excitement as I rode in the car navigating my way through the streets of Houston. I was happy to be out of the Academy but wondering the whole time if I would know what to do the first time I heard my unit number called. Part of me wanted a busy day of calls, while the other part of me thought it would be better to start off slow and get my feet wet. In the end, both sides of me would be happy. The day began with very few calls for service, so my trainer and I had some time to roll around the streets and get orientated to the patrol beat. We began the day by rolling through many different neighborhoods in our beat. I was trying to learn the new area as best I could. This was a difficult chore, however, as the streets were all new to me. Not long after we began patrolling, our first call went out: a local burglar alarm. I felt fairly comfortable handling this as my first call as we had done a great deal of practice at the Academy. After clearing the alarm call, the ‘slow’ day would come to an end. We were immediately dispatched to a minor car accident. Before we could even finish the paperwork for the accident, we were dispatched to a shoplifting call. This would be my very first arrest, one that I am sure I will never forget. Not because anything wild or out of the ordinary occurred but rather because of the kind of nervous excitement I felt. It was finally the time when the months and months of training were being combined and put to use. On one call I had to combine my knowledge of the Texas Penal Code, handcuffing procedures, interviewing skills, report writing skills, along with numerous HPD procedures. It was a lot to think about but it really helped me to realize why the Academy was so challenging. It prepared me for days like these! When I was done writing my shoplifting report and finished up the accident paperwork, my 8 hour shift was already over. My first day flew by so fast we never even had a chance to eat lunch. As I was leaving the station, I couldn't help but think about what different calls I would be running tomorrow. Part of me didn’t even want to go home so I could continue answering the calls for service! Written by Academy Class 196 President Mike Herb. Officer Herb, is now patrolling our streets and making a difference. Look for future posts with Officer Herb as he experiences his first year as a Houston Police Officer. 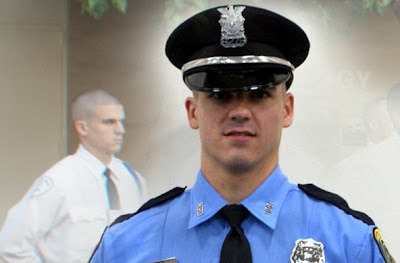 As I was reading Officer Herb's first day experience as a police officer on the streets of Houston I couldn't help but to think back when I first hit the streets. The last sentence hit home to me. He said he "didn't even want to go home". Back when I was on patrol, I remember looking at my watch and thinking to myself "Darn, I only have one more hour before my shift ends." How many jobs can you actually say that about? Be honest, in most cases it's: "Darn, I have to BE HERE for another hour before I get to go home". This career is hard to explain, you have to experience it. 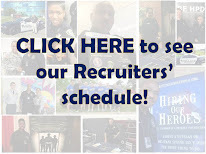 You can experience it at www.hpdcareer.com . Great job Officer Herb. Be careful out there. What a great blog. HPD is the cool. I want to be a policeman.